A cabin designed for Stephen and Audrey Bosustow in 1972-1976 is for sale. The Lautner-designed home is in Lake Almanor, CA, and features slanted glass panels facing the lake. Bosustow built the cabin along with Clarence Bergman, using wood throughout. The home is not in original condition. Additions have been made on both sides and its redwood exterior has been painted. A railing was added in front of the glass, and the concrete floor was carpeted. A terrace was added later. Partly because of its remote location the home is not well-known. The glass panels achieve the effect of no barrier, similar to the Pearlman cabin, because there is no reflection. phs and details of the sale check the realtor’s site. The Elrod House, one of the best known of the homes designed by John Lautner, will be listed for sale early this coming week, according to owner Michael Kilroy. Built in 1968 atop a ridge overlooking Palm Springs and the southern Coachella Valley, providing views also of the San Jacinto Mountains to the west and San Bernardinos to the north and east, this home has been featured in the James Bond movie “Diamonds Are Forever” and in many high-end advertising campaigns. As well-known and high-profile as the Elrod House is, Kilroy has helped create different kinds of memories of it for many people. Judith Lautner first saw the house as a young woman working for her father, when the two visited Arthur Elrod soon after it was built and then later when he was working on the Hope residence. 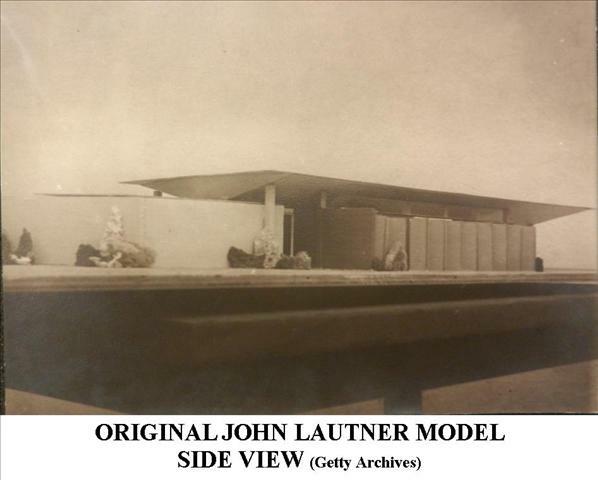 Lautner and Elrod had become good friends during the design and construction of Elrod’s house. Judith says that she loved visiting it at different times of the day because it became a different house every hour. Arthur’s death was a great loss to all who knew him and to the broader design world. 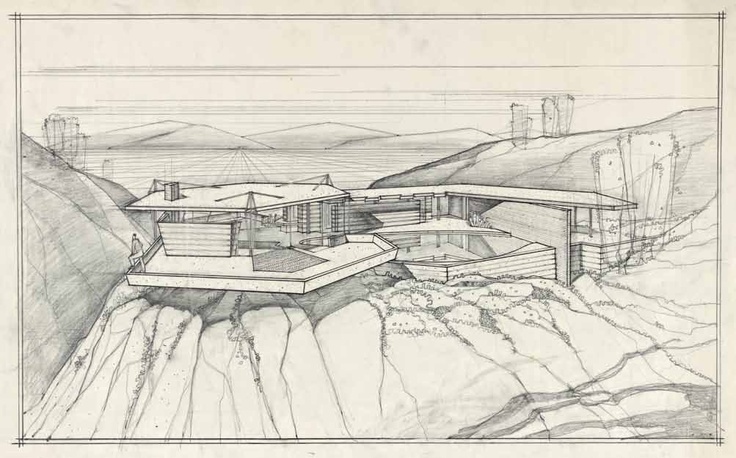 He was both a major design force — John Lautner once remarked that no house he designed was better furnished than when Arthur furnished the Elrod House — and a kind man who generously helped many in the various communities around him. Kitchen. Photograph by Melaina Mace & Marco Recuay, use courtesy of Michael Kilroy. As noted in the film “Infinite Space: the Architecture of John Lautner,” when the Dutch architects and students who were traveling to every known Lautner project arrived in Palm Springs and reached Michael by phone that morning, he asked where they were staying that night, then put them up in the house. Michael also provided the house to numerous groups for charity events, like the Palm Springs Preservation Society’s Retro Martini Party in 2010 (half of the profits went to the Foundation), and a series of TEDActive events in 2012, and opened it to the general public for multiple days of tours during Modernism Week 2012 with the proceeds donated to the Los Angeles Conservancy. Michael continued to share the property while a dispute over lender manipulation of mortgage interest rates dragged on between a multinational bank and hundreds of property owners including himself; the dispute lasted more than seven years and involved more than four years of litigation in half a dozen legal venues before that bank settled with him last year. Michael’s sharing of the Elrod House in a variety of different ways, for more than a dozen years now, has meant that many more people than would otherwise be the case have been able to experience first-hand one of the greatest works of John Lautner. We are fortunate that owners like Michael Kilroy have been so impressed by John Lautner’s work that they not only buy and preserve these wonderful properties but also go out of their way to share them with others in ways which can greatly spread the enjoyment and understanding of these great designs. The Elrod House will be listed by Tyler Morgan, Keith Markovitz and Todd Monaghan of HK Lane/Christie’s International Real Estate in Palm Springs.